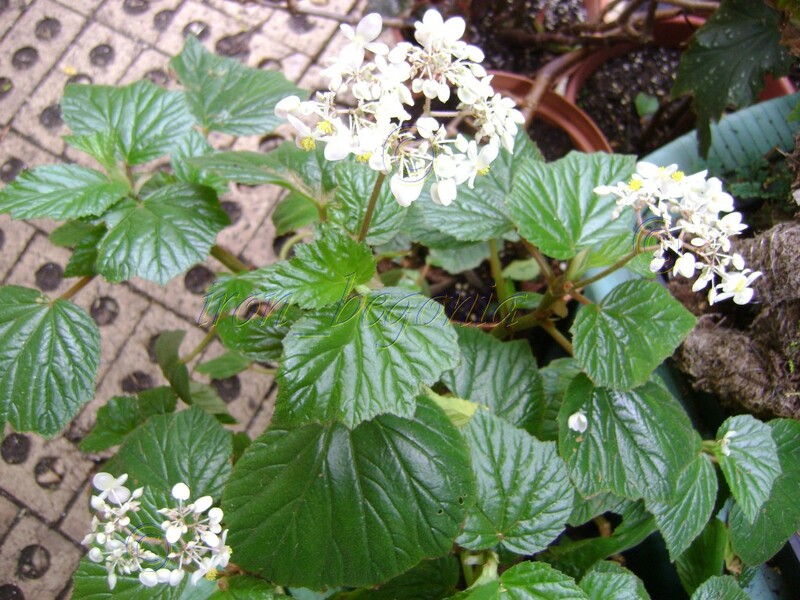 Begonia Scabrida is a shrub type fibrous begonia; it grows rather large as you can see in the picture. 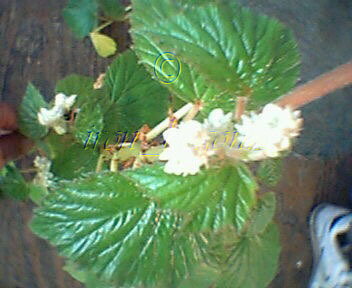 This begonia blooms sprays of white flowers. The first time Scabrida bloomed for me; it bloomed double flowers and the next time it bloomed for me; it bloomed single flowers. 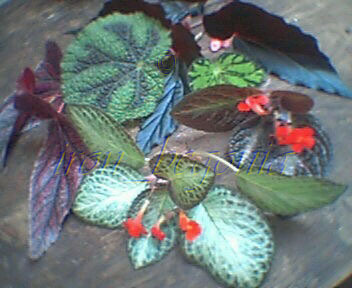 This begonia is very easy to grow and root. 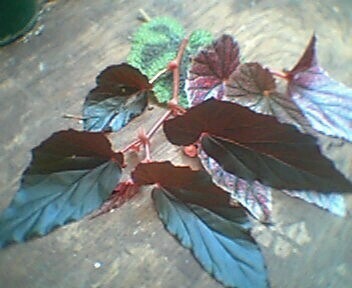 I purchased this begonia at The South West Begonia get together in San Antonio in 2008. I took the first picture in 2008 and the 2nd picture in 2010 in my back yard. I put in the bricks in the back ground myself, I wanted to make a brick patio. My brother asked me if I wanted a bunch of bricks I said sure I do! It makes a good back ground for taking pictures of my begonias! 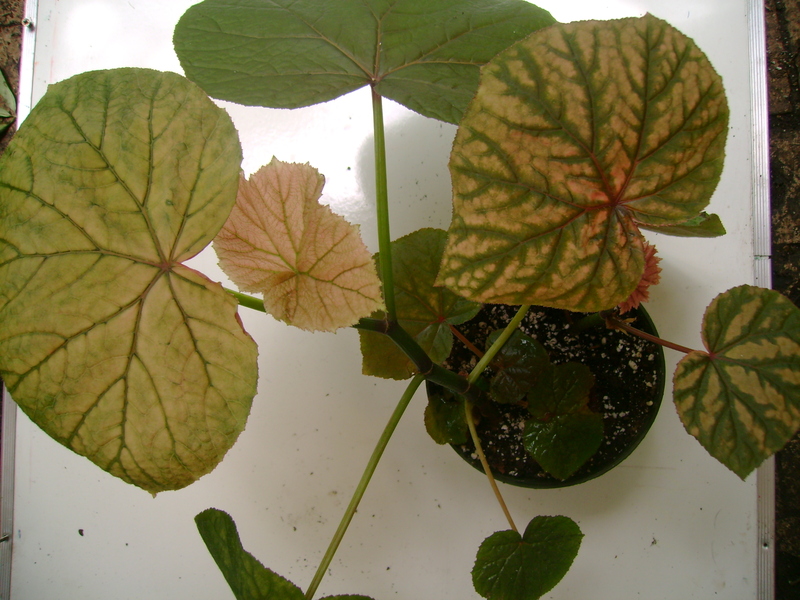 Begonia Vitifolia var Grandis is a unusual begonia. 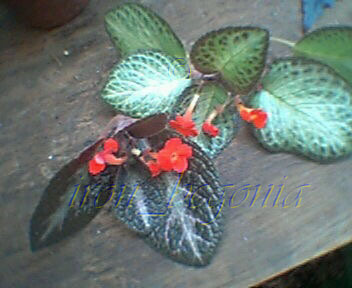 If you are a begonia collector this is a good one to add to your begonia collection. 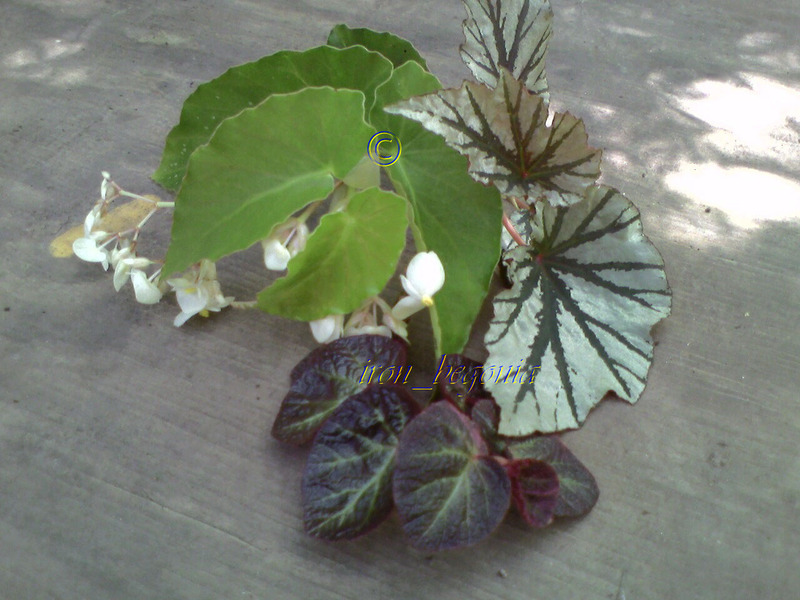 This begonia grows very tall if you let it; it’s leaves can get from 6″ to 8″ across and as you can see in the picture some of the leaves are green, some are pink and a cream color and some have all colors. Isn’t it beautiful!